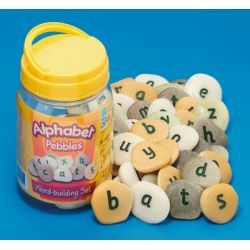 Take a hands-on approach to the alphabet with our tactile Alphabet Pebbles. Specially cast from our unique stone and resin mix, each stone is engraved and hand-painted with a letter. 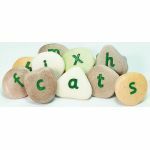 The highly tactile stones will appeal to children's instinct to explore, investigate, sort and collect, and are durable enough to be used in sand, water and outdoors. Each pebble measures approximately 1–1.5''.